The symposium will examine the influence and contributions of Westerners in nineteenth-century East Asia, with a focus on how personal correspondences can serve as historical sources. 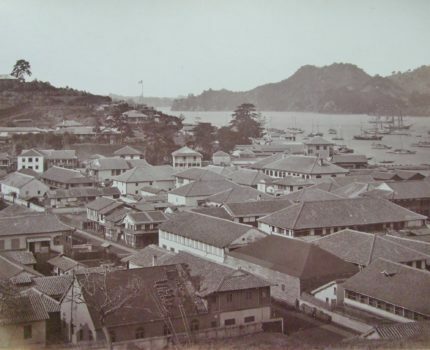 The two-day gathering will explore two Nagasaki-based British merchants, William Alt and Frederick Ringer (a native of Norwich), as well as Charles Richardson, a Shanghai-based merchant killed near Yokohama in 1862, an event that led to an armed clash between Britain and the Satsuma domain the following year. The symposium will also include papers on various merchants, missionaries, and diplomats in East and Southeast Asia, as well as perspectives on British maritime commerce during the nineteenth century. The symposium is free to attend and open to students and scholars interested in the subject. Registration is essential as seats are limited. Please contact the Sainsbury Institute to book your place on 01603 597 507 or email us. Symposium organised by Dr Robert Hellyer and Dr Robert Fletcher.